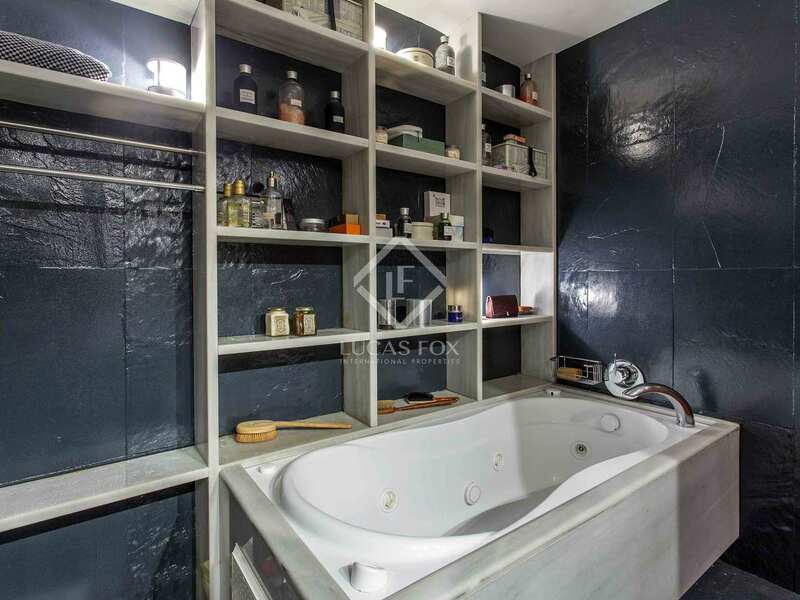 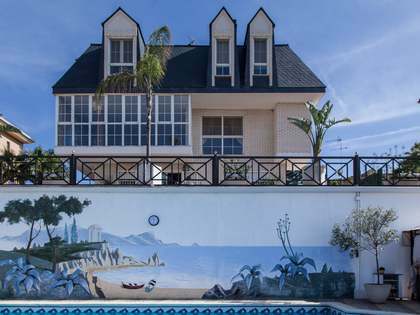 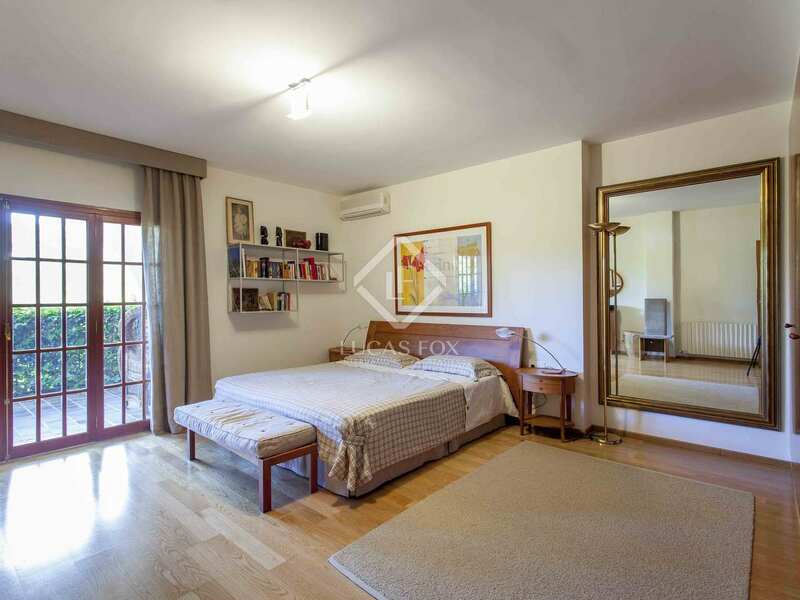 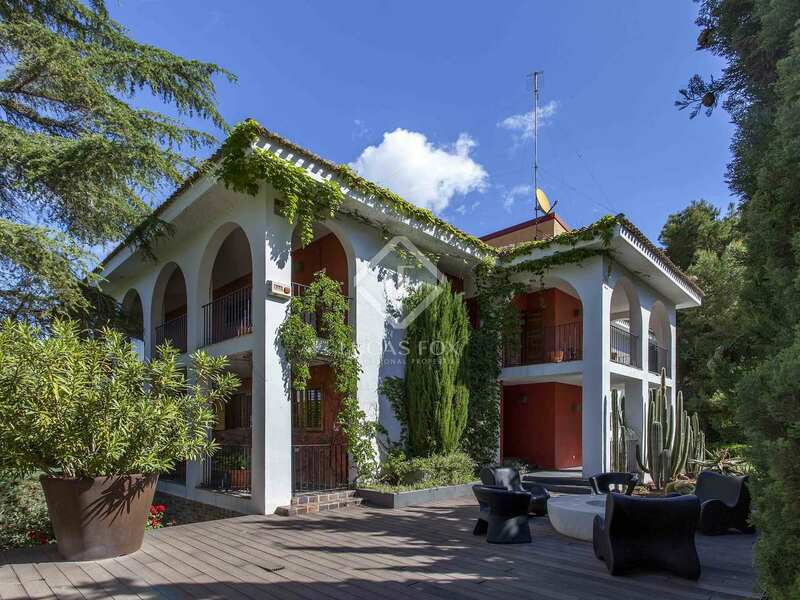 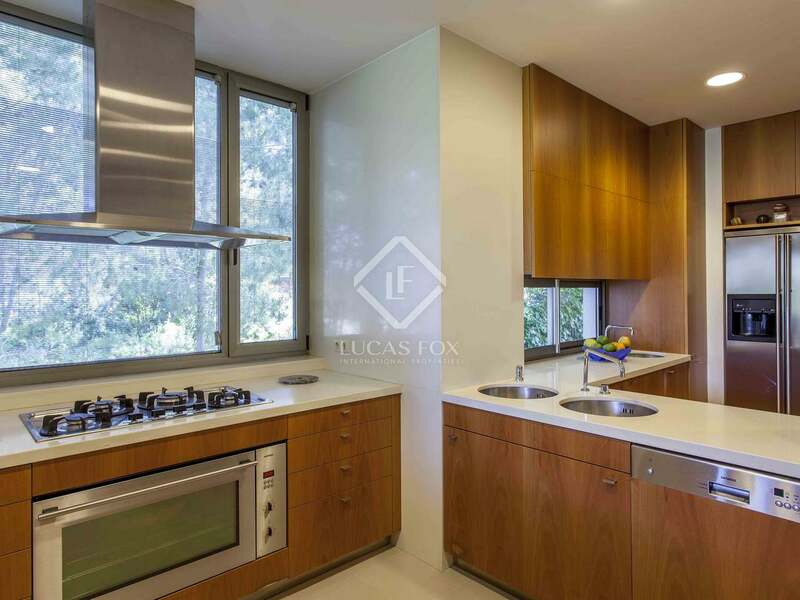 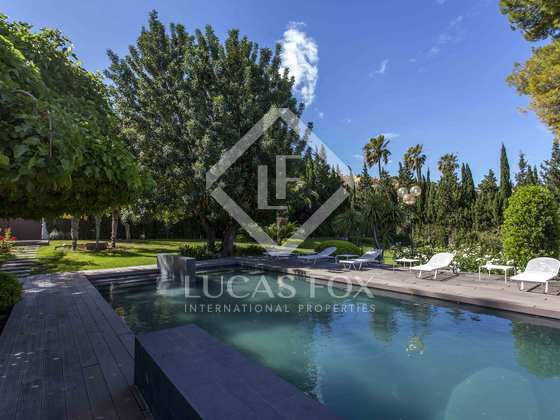 Lucas Fox is pleased to present this majestic villa on a plot of 3500m2 with a perfectly maintained garden and elegant design; the leafy trees giving the property unequalled beauty. 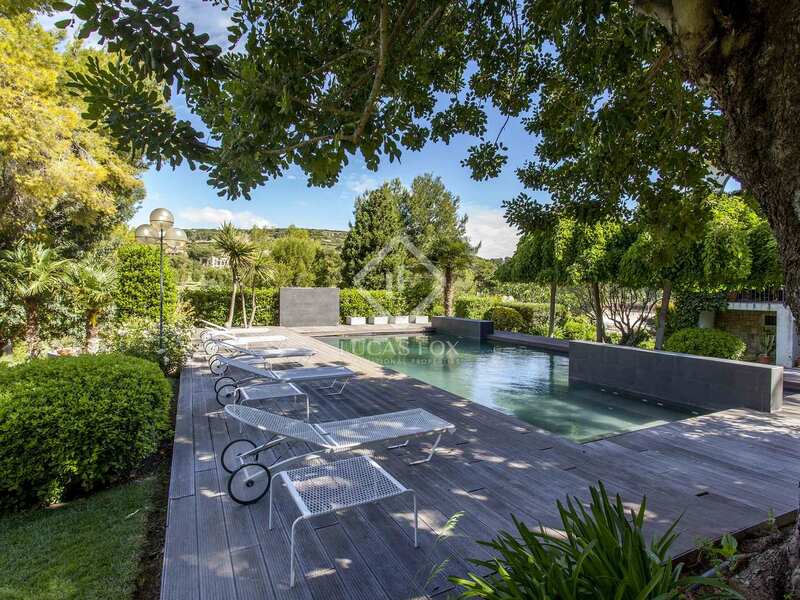 Make the most of the summer evenings in the outdoor dining area and keep cool in the lovely pool. 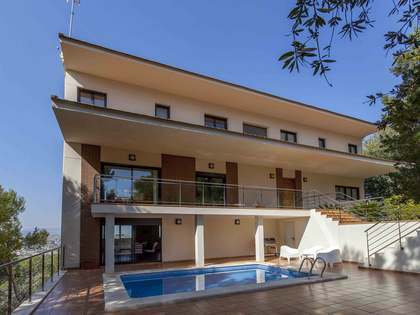 The symmetry of the villa gives it a modern style, surrounded by a covered terrace offering stunning views. 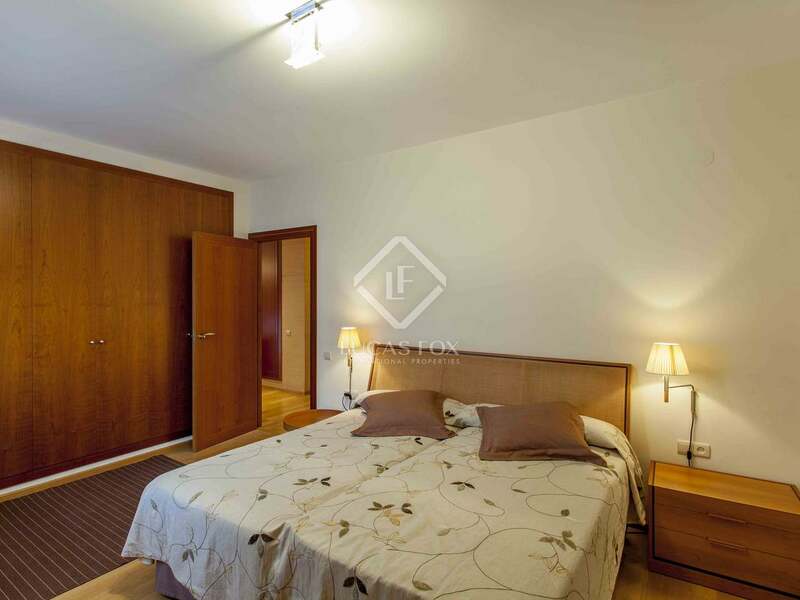 There is central heating and air conditioning in each room. 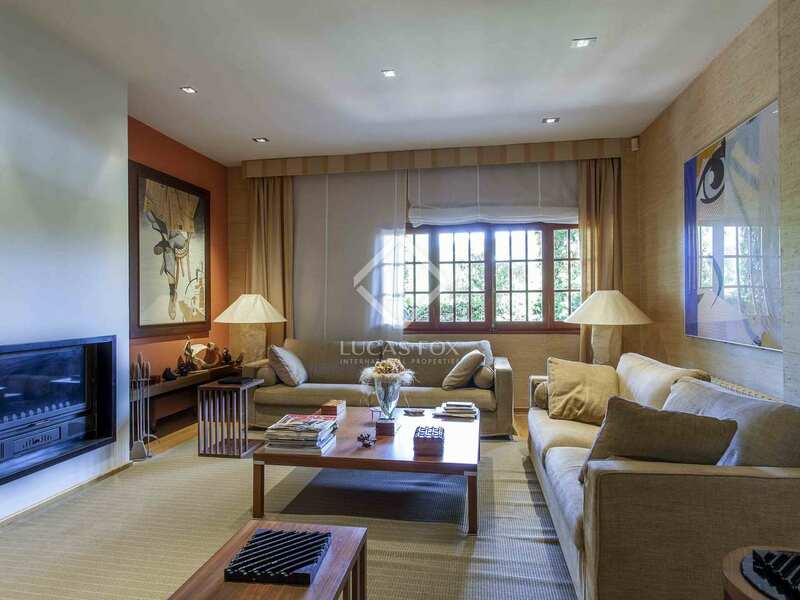 The large living area with a chimney is ideal during the winter months and a large space in which to relax. 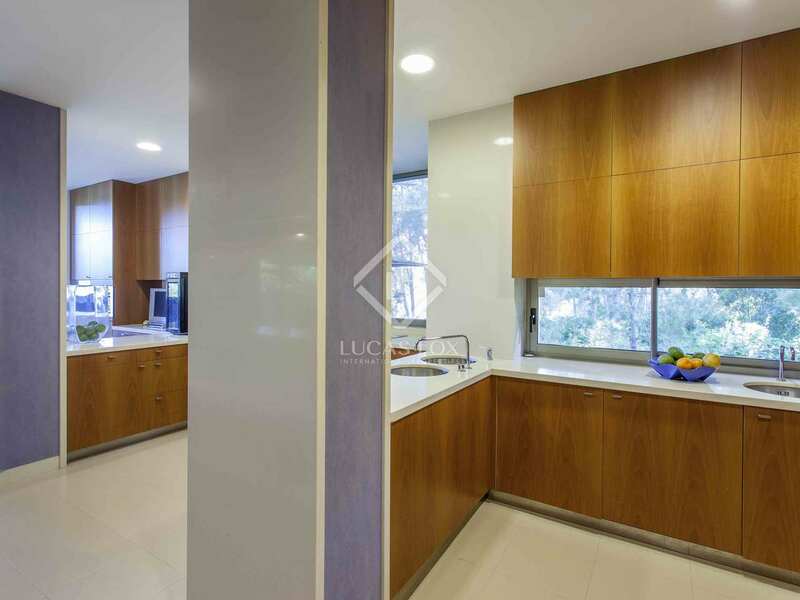 Continuing through the property we come to a kitchen designed to complement the design of the dining room. 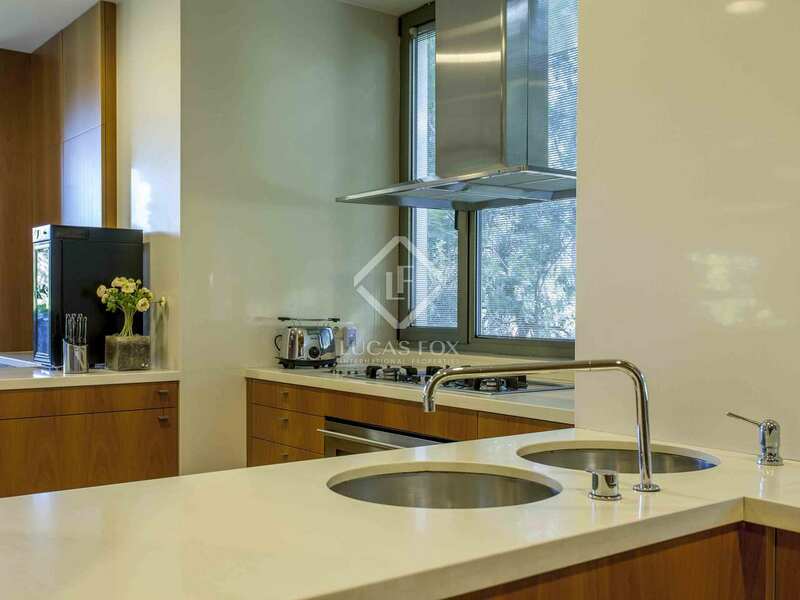 The electrical appliances are from top German brands contributing to its distinctive air, an elegant breakfast bar allows you to enjoy informal dining. 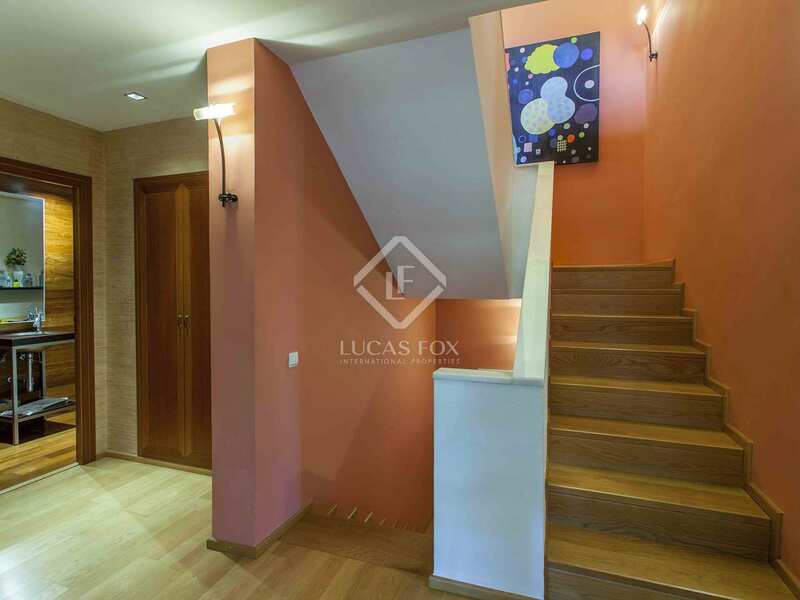 On the upper floor of the villa there are 4 double bedrooms and 2 designer bathrooms permitting privacy for the whole family. 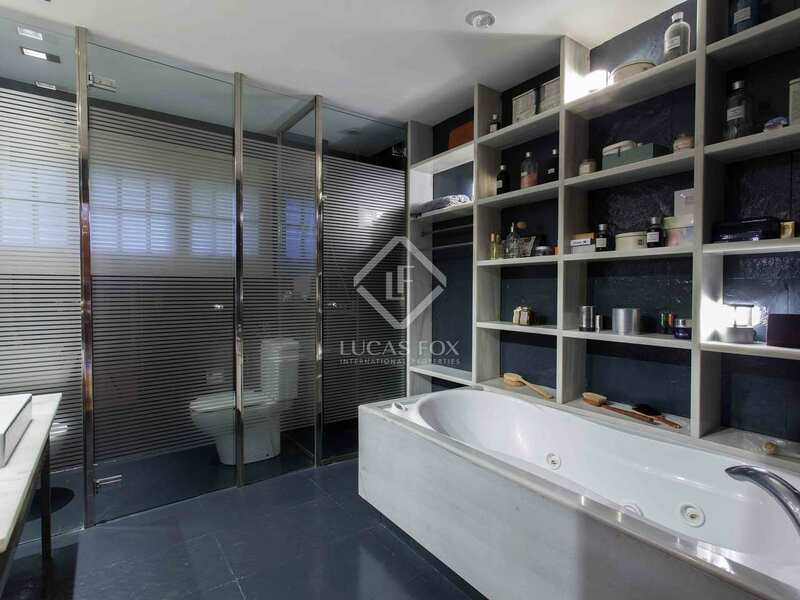 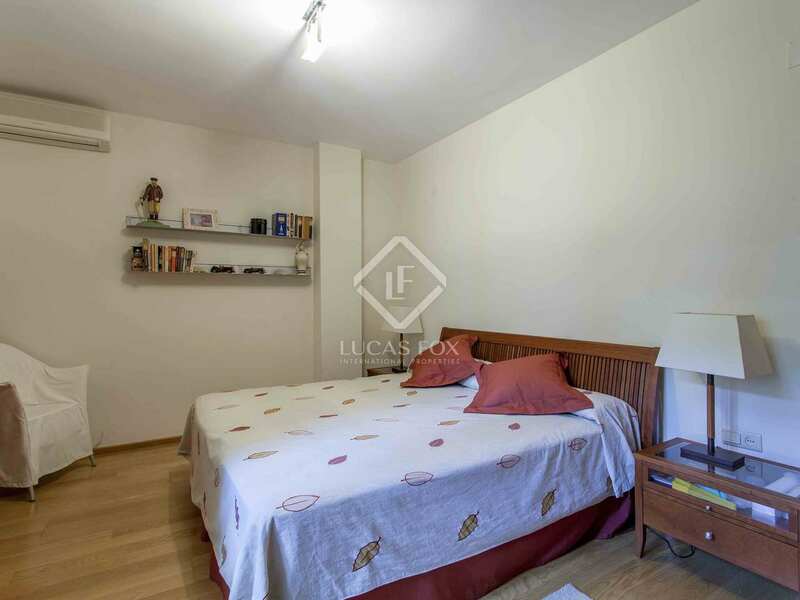 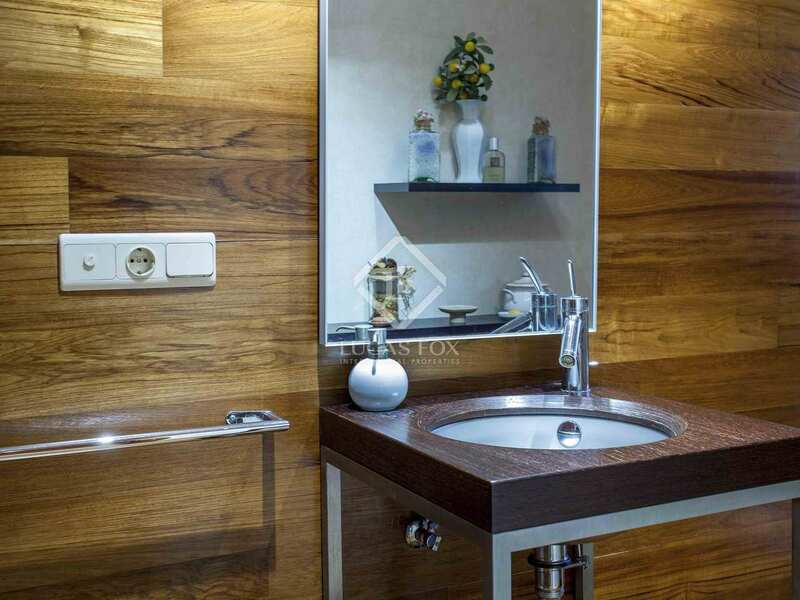 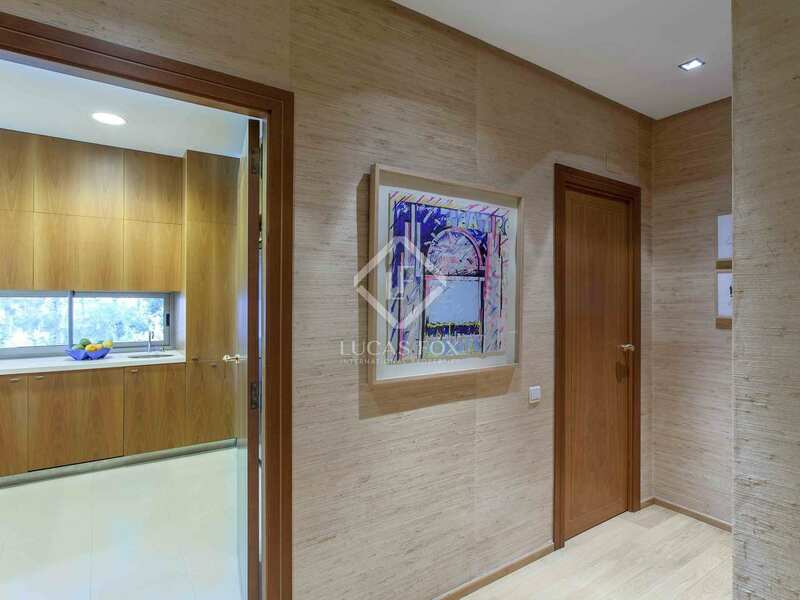 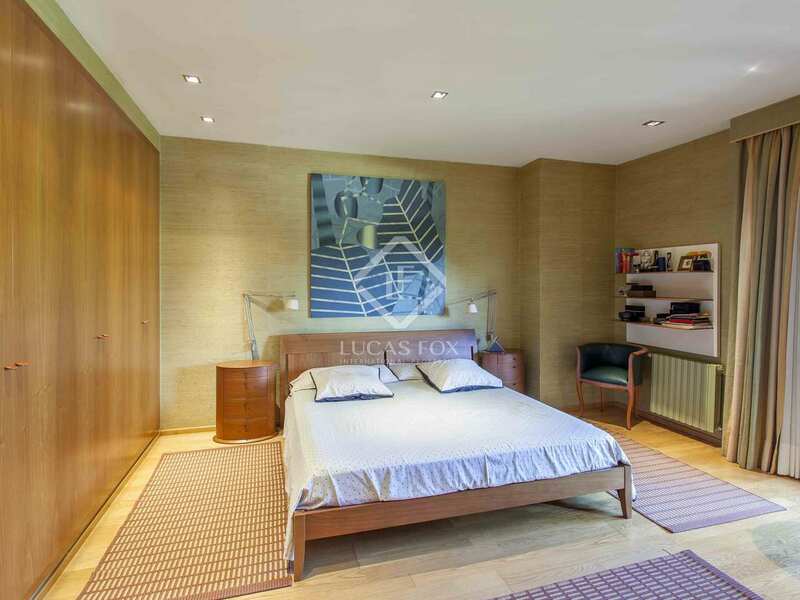 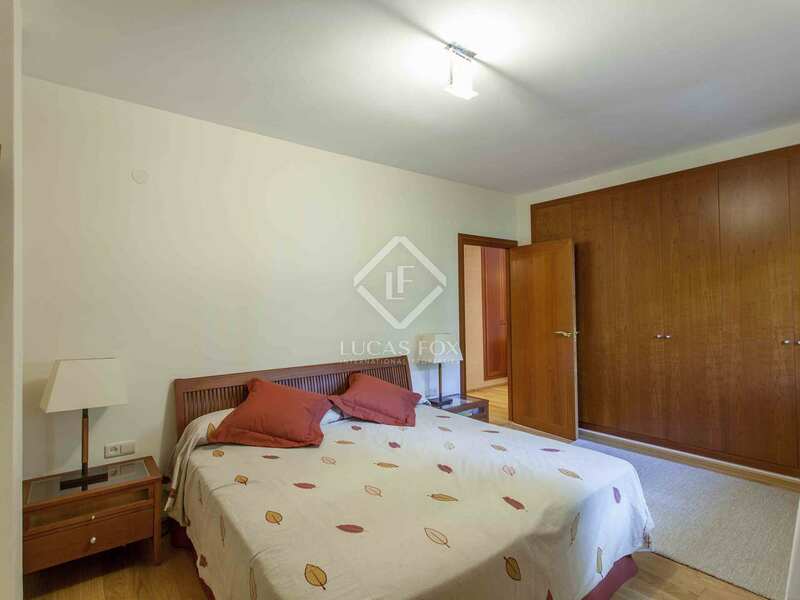 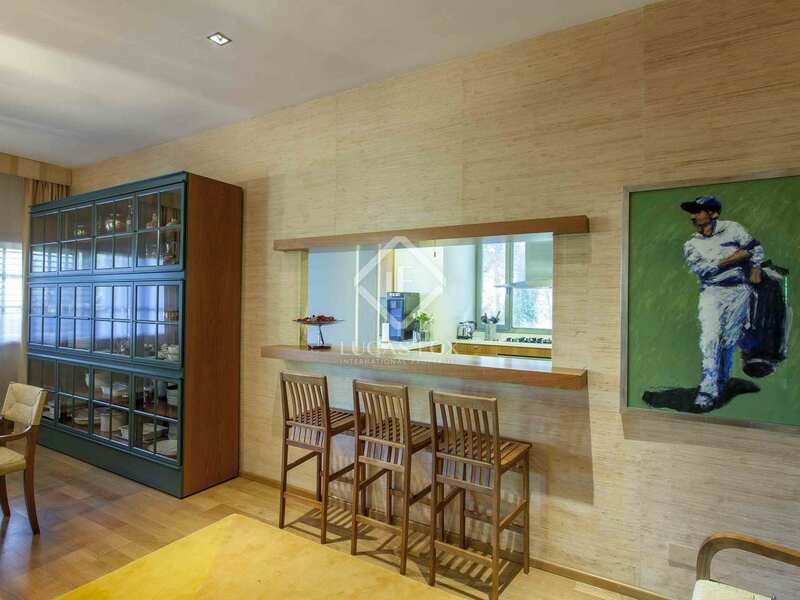 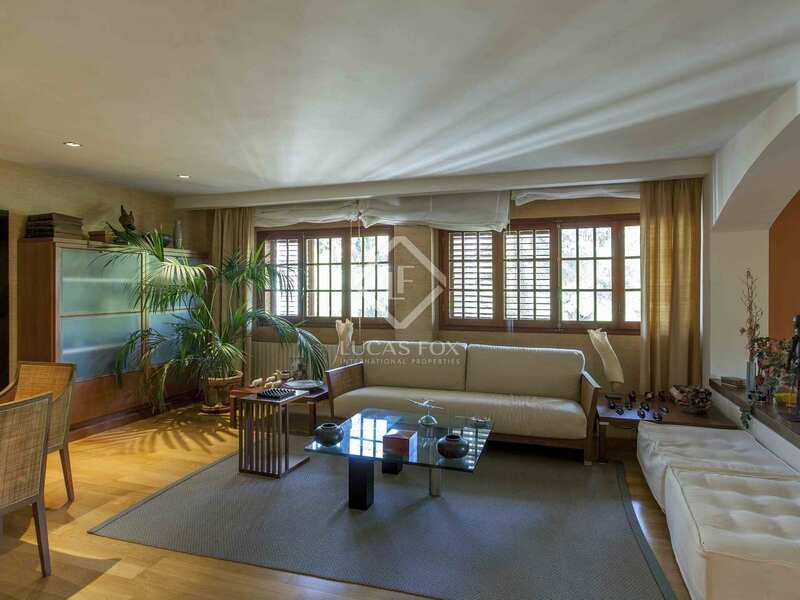 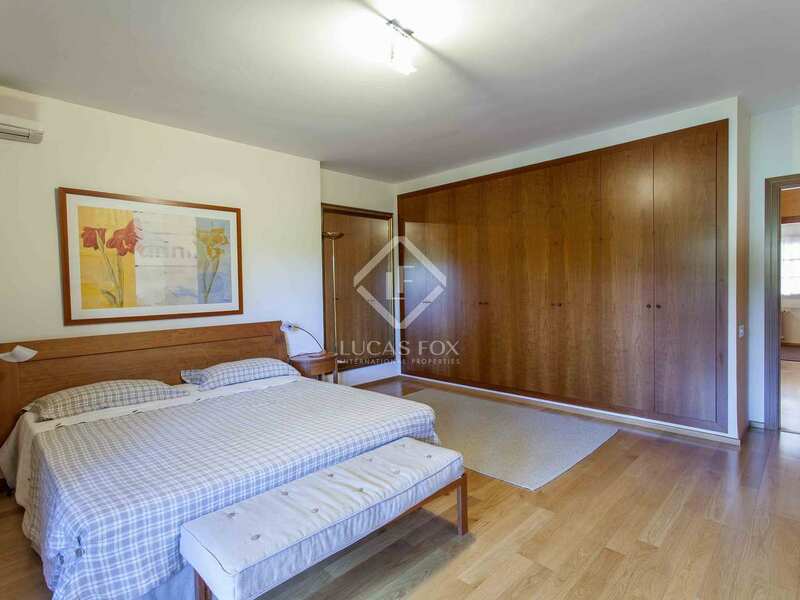 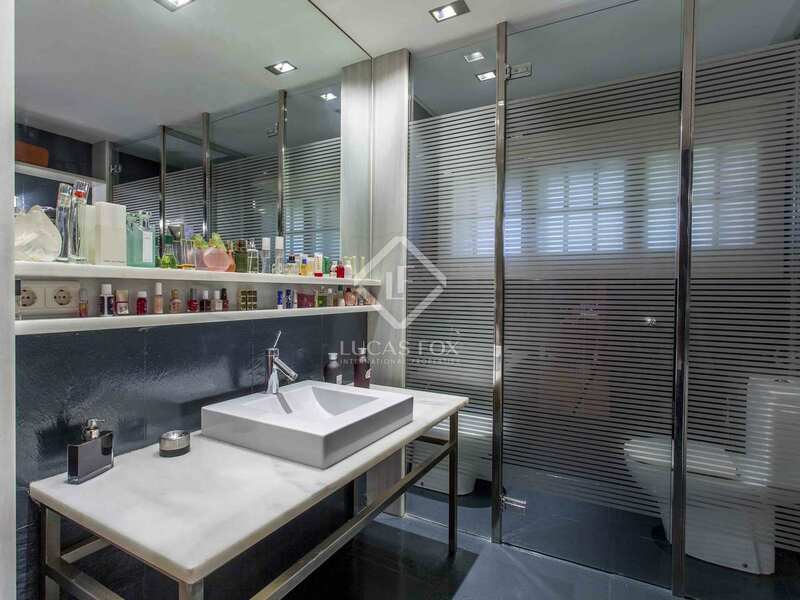 There is parquet flooring throughout the property except for in the bathrooms which boast marble flooring. 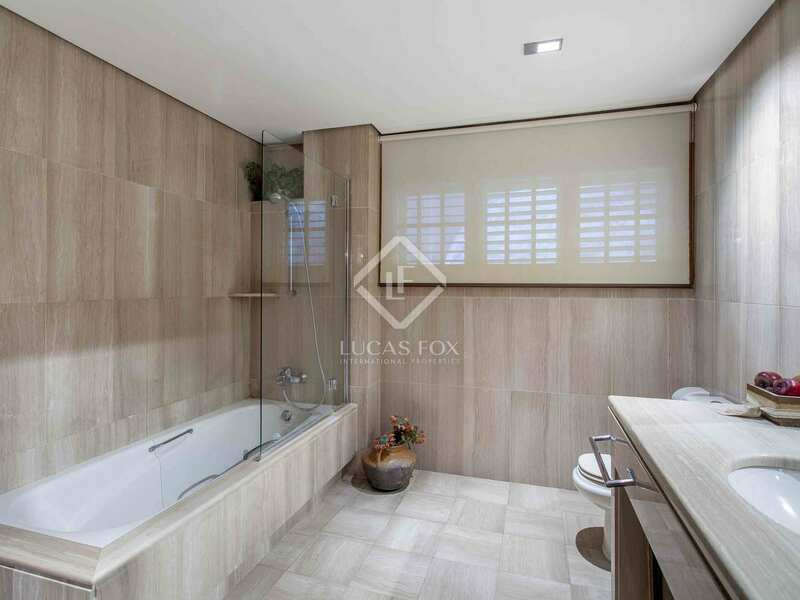 The villa also has a laundry room. 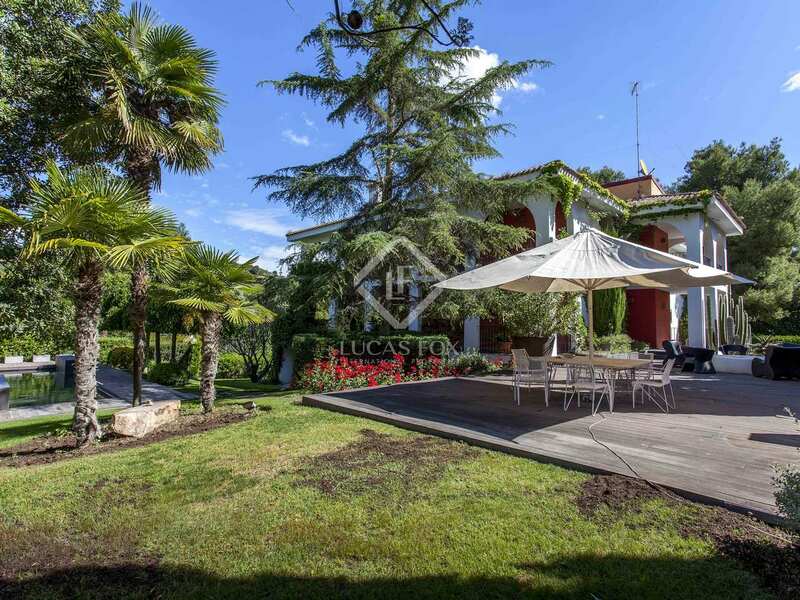 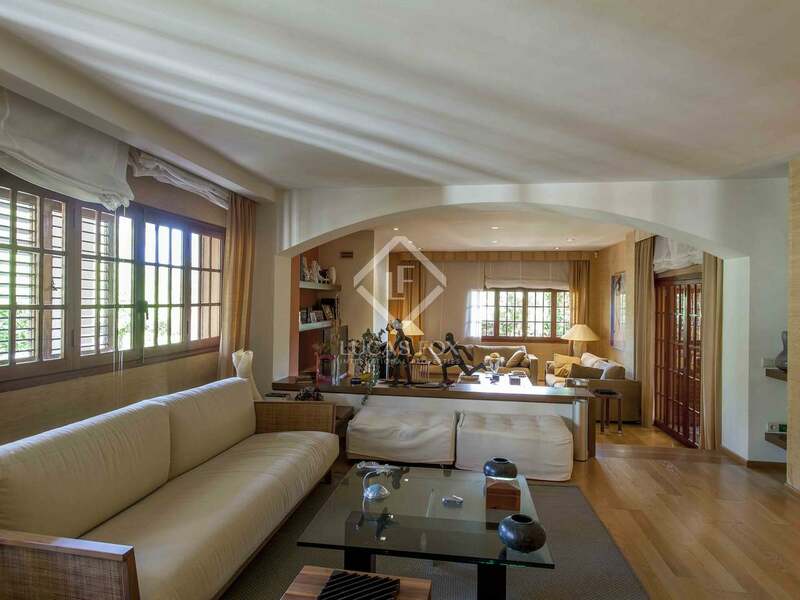 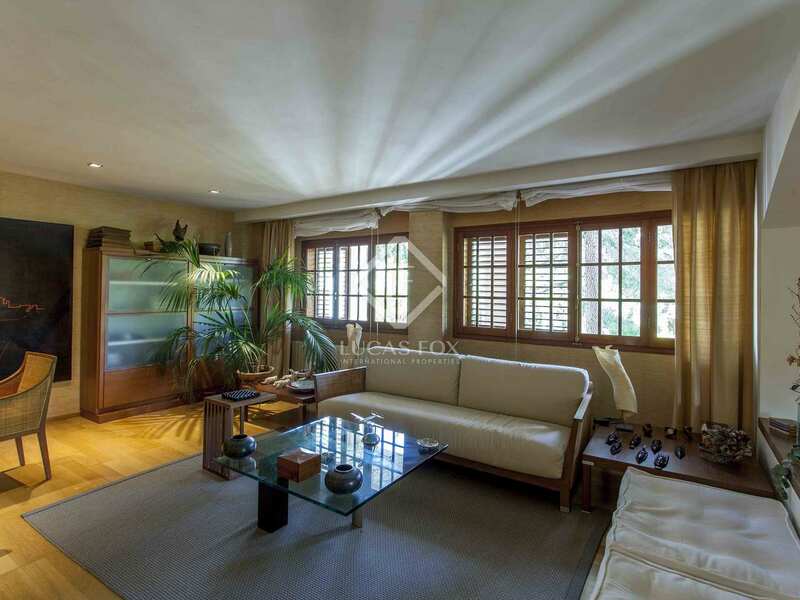 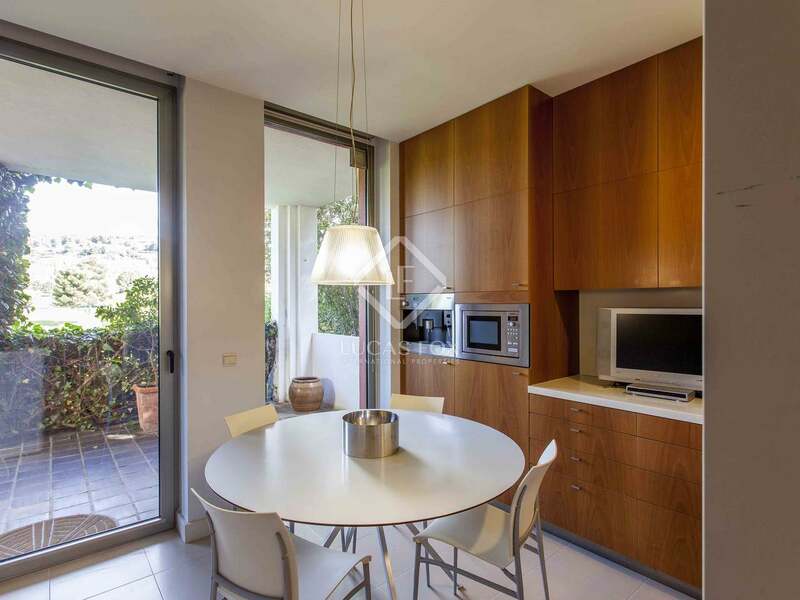 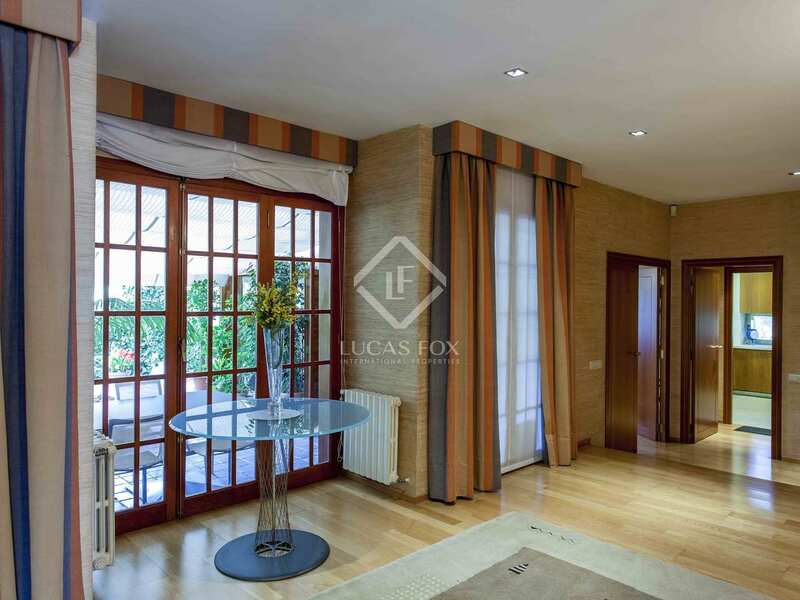 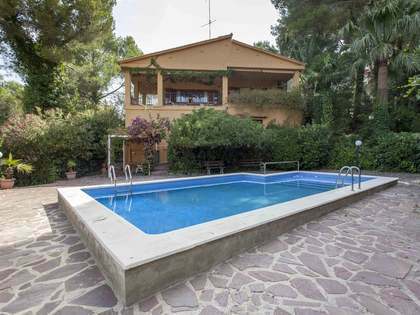 This villa is located in El Bosque, with direct access to the golf club. 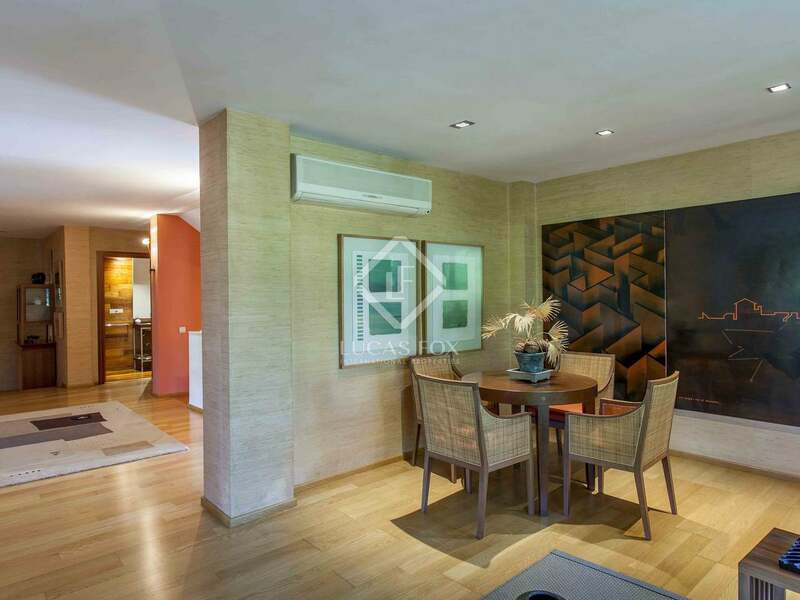 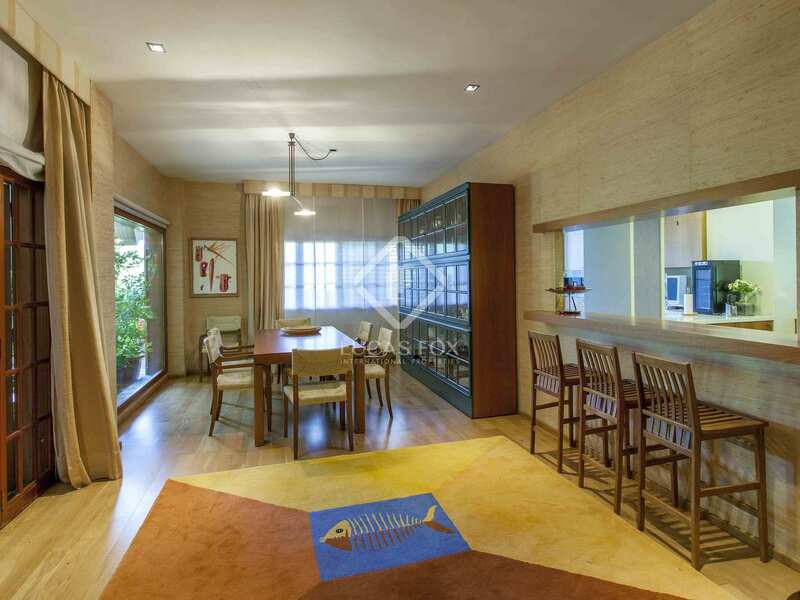 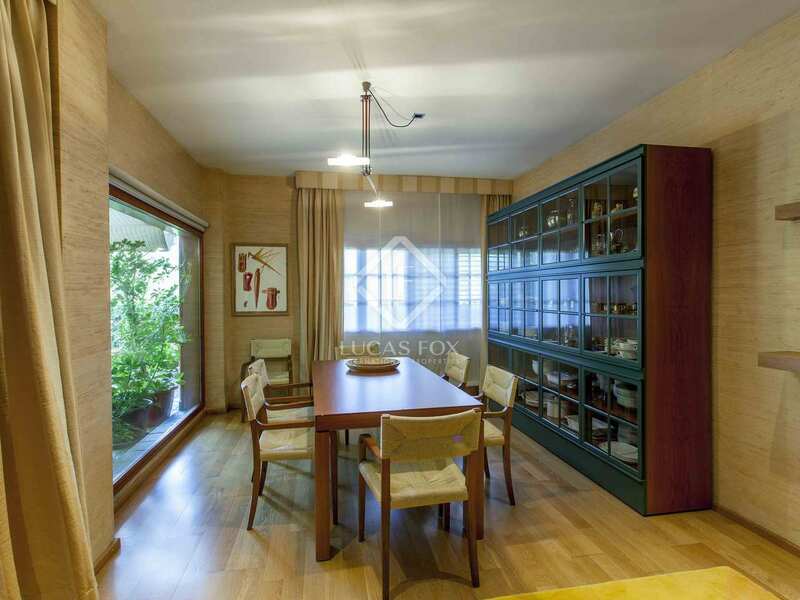 El Bosque is in one of Valencia's most sought-after residential areas.